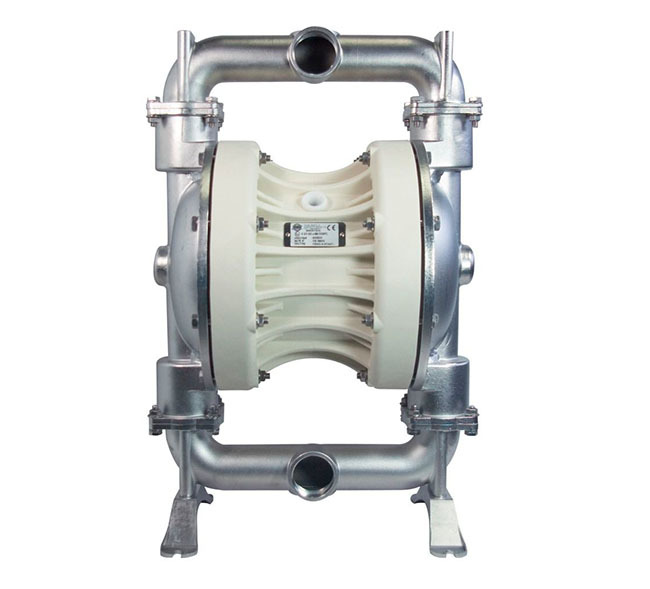 Air-operated diaphragm pumps feature strength, power, selfpriming operation (can run dry and with negative suction heads) even under exacting conditions and the ability to handle high viscosity fluids containing suspended particles. 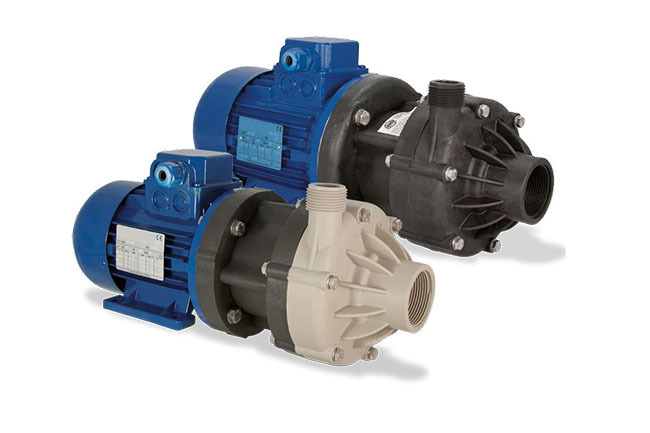 The Boxer and Cubic series are both fitted with a special air-operated heat exchanger coaxial to the shaft and without external components, this is a unique piece of engineering, offering excellent protection against the formation of ice and something you will still not find in other pumps currently on the market. Polypropylene, PVDF/ECTFE, aluminium and AISI 316 stainlesssteel versions are available. 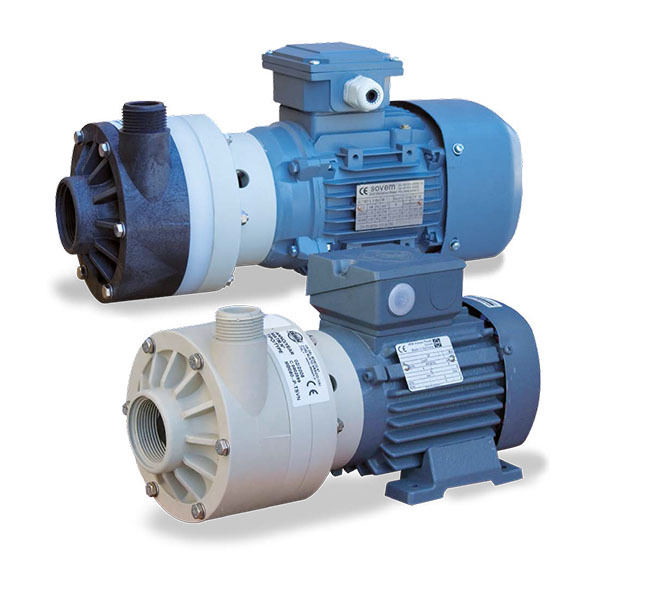 All pumps in these two series are tested to ensure maximum safety under difficult conditions (i.e. in the presence of particularly aggressive and viscous fluids), they can run whilst dry without suffering damage, do not require an air lubricant and are self-priming. Components are easily replaceable, whilst unskilled staff can perform maintenance without problems. 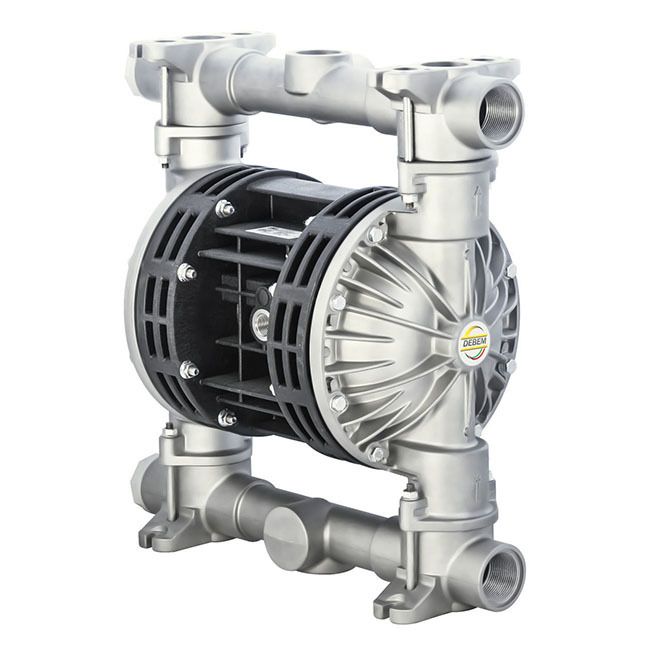 MB PUMPS: resin horizontal centrifugal pumps that operate with a direct-drive electric motor and are particularly suitable for fixed installations with the pump outside the drum, high flow rate and fast transfer speed of corrosive liquids. Their special open-impeller design allows pumping even with very dirty liquids having apparent viscosity up to 500 cps (at 20°C) and small suspended solids. There are two versions available with different internal mechanical seal depending on use, TL (lip seal) and TS (bellows seal). 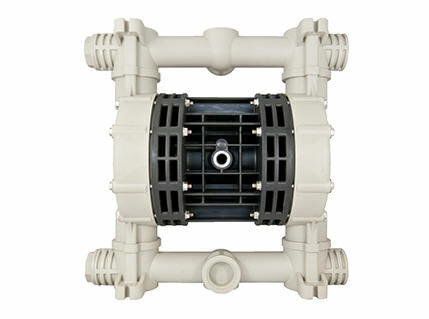 Resin-encased horizontal centrifugal pumps feature a solid pump casing and a lantern for connecting the electric motor and inspection of the mechanical seal. 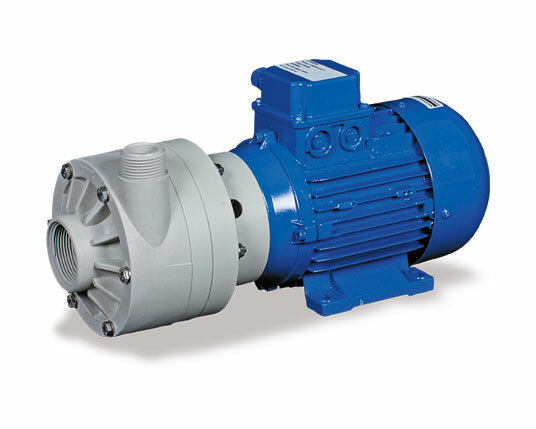 The open impeller is fitted to the pump shaft that is integral with the drive shaft of the electric motor. The shaft mechanical seal is housed at the rear of the impeller. 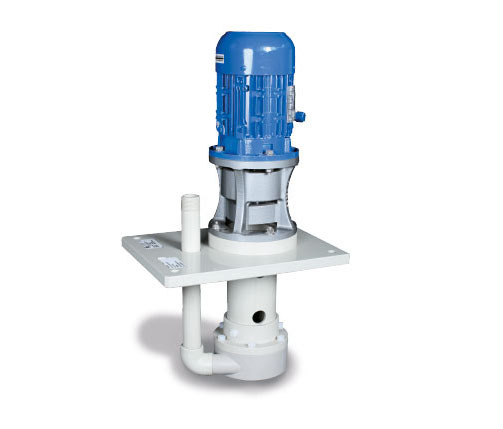 IM PUMPS: resin vertical centrifugal pumps coupled with a direct drive electric motor designed for fixed installations with pump immersed in the tank, high flow rate and fast transfer speed of extremely dirty liquids. 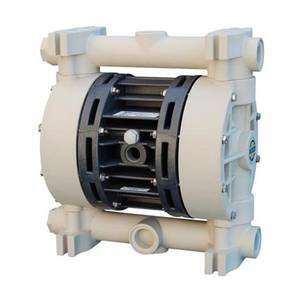 The special design of this type of pump avoids the use of internal mechanical seals (subject to heavy wear) and ensures that any accidental spillages are collected in the tank. 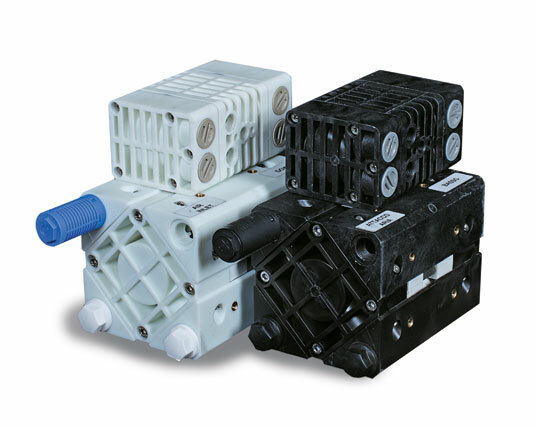 The choice of pump construction materials allows selection of optimum chemical compatibility with the fluid and/or environment without neglecting the temperature range. 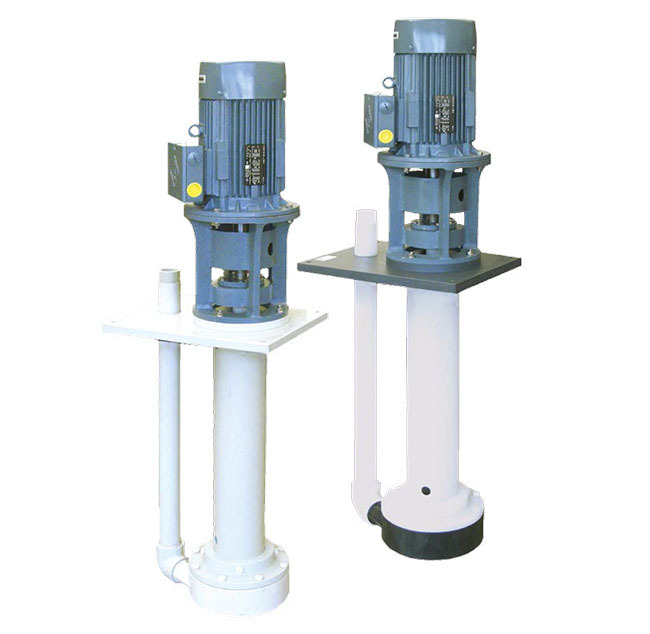 Debem resin-encased vertical centrifugal pumps consist of a solid pump casing and a column fitted to the baseplate supporting the lantern that in turn supports the electric motor. 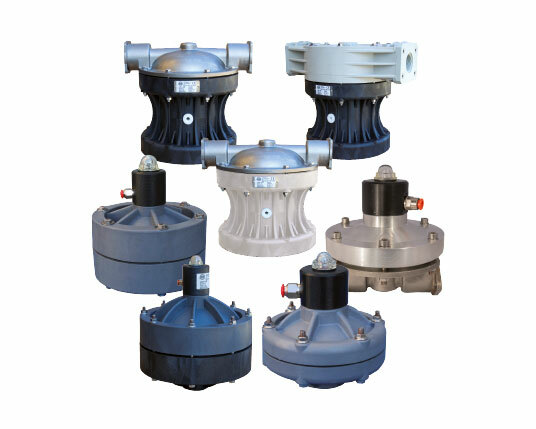 TR PUMPS: drum transfer pumps coupled with a direct drive compressed-air or electric motor (see models). Being portable, they are ideal for fast transfer of clean corrosive liquids from drums. 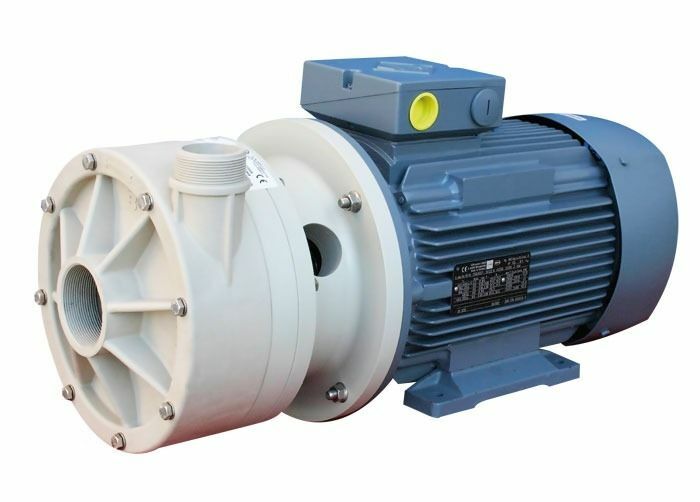 Available with fully-interchangeable electric or pneumatic motor, these pumps have an open impeller that allows continuous pumping of clean corrosive liquids having apparent viscosity of up to 600 cps with 500-watt electric and pneumatic motor (at 20°C) and 900 cps with 800-watt electric motor (at 20°C). 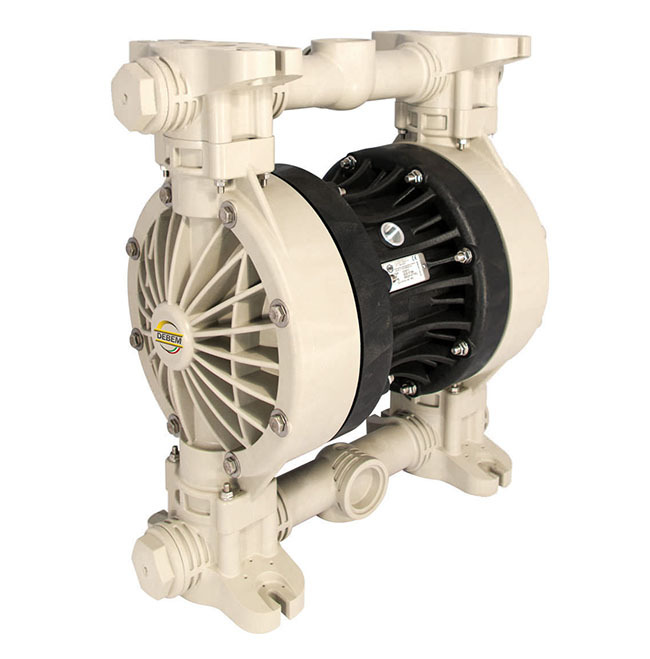 TR-EL series pumps driven by an electric motor are also fitted with a safety cut-out switch that prevents accidental restart after a power outage. 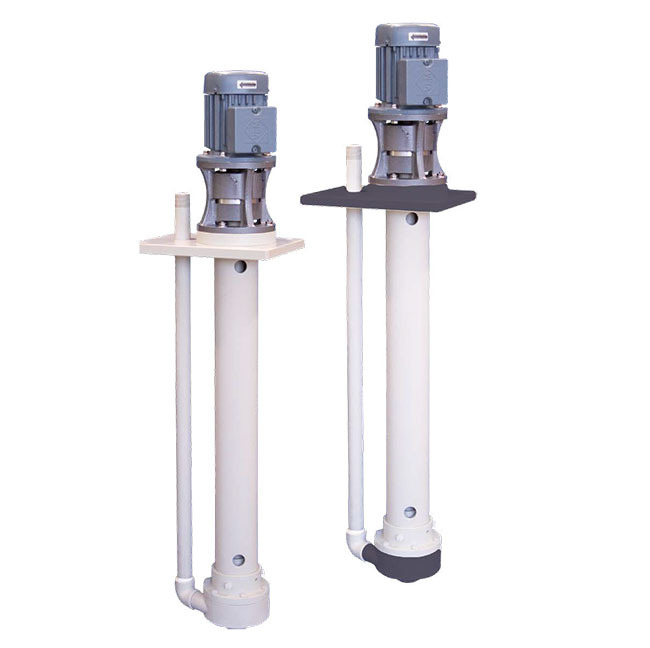 These drum transfer pumps consist of a dip tube the end of which houses the open impeller that is secured to the driveshaft connected to the pump by means of a ring nut, whilst transmission is provided by a shaft coupling. EQUAFLUX DAMPENERS: air-operated automatic pulsation dampeners with diaphragm are installed on discharge lines with variations in fluid pressure in order to reduce pulsations and consequent vibrations or water hammer, thus protecting process equipment. EQUAFLUX and FOOD EQUAFLUX (for food use) dampeners can be used with liquids having high apparent viscosity even if containing suspended solids of considerable size and they automatically adapt to system conditions without the need for manual adjustment or calibration. 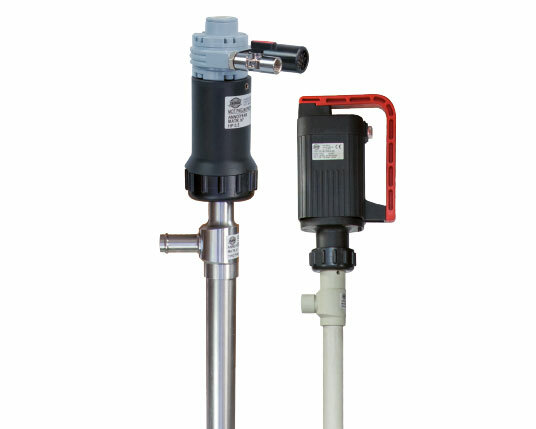 The ability to minimise pulsations, vibrations and water hammer means that this component provides excellent protection and smooth system flow. The huge choice of construction materials allows selection of optimum chemical compatibility with the fluid and/or environment without neglecting the temperature range. Dampeners are also available for use in potentially explosive atmospheres (ATEX certification). 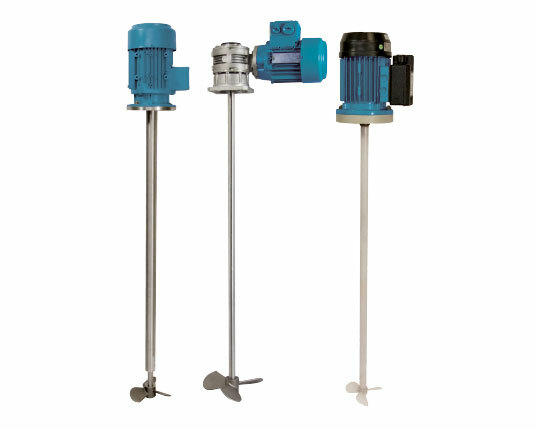 The compact submersed mixers have been designed for a wide range of applications. These devices can be used independently from the shape and size of the basin.